Skin Rashes? Let Essential Oils Handle Those Nasty Eruptions! It’s not even a medical diagnosis, yet this condition, or call it a symptom if you will, is so troublesome that it will impact every facet of your life, at least till it lasts. The worst part is that everything from a relatively innocuous immune hyper-reaction to something as serious as an STD and even cancer can lead to this condition. Ladies and gentlemen with a loud round of booing, please welcome our health menace of the day – RASHES. I am Olivia your guide on this tour through the aromatic universe of essential oils and right now we are talking about a common and pesky health issue that is not really painful, but it is incredibly irritating. I would be surprised if any of you can say that you have never had to deal with this terrible skin issue. In fact, for most of us our tryst with this annoying problem dates back to our “infant” days and from thereon, most people have to deal with those itchy, red bumps on multiple occasions. If it’s not a disease or a diagnosis even, then what exactly is a rash? Medically, it is called dermatitis. But call it that or just a rash, it simply means a change in the condition of the skin. The change could be in the texture, appearance or color. Skin rashes come in all types and forms. Sometimes these annoying bumps play it fair and restrict themselves to one part of the body, but on other occasions, they get all adventurous and travel all over your body. Flat, red and dot-like (macular). Raised and solid to touch (papular). A combination of solid bumps and scaly skin. 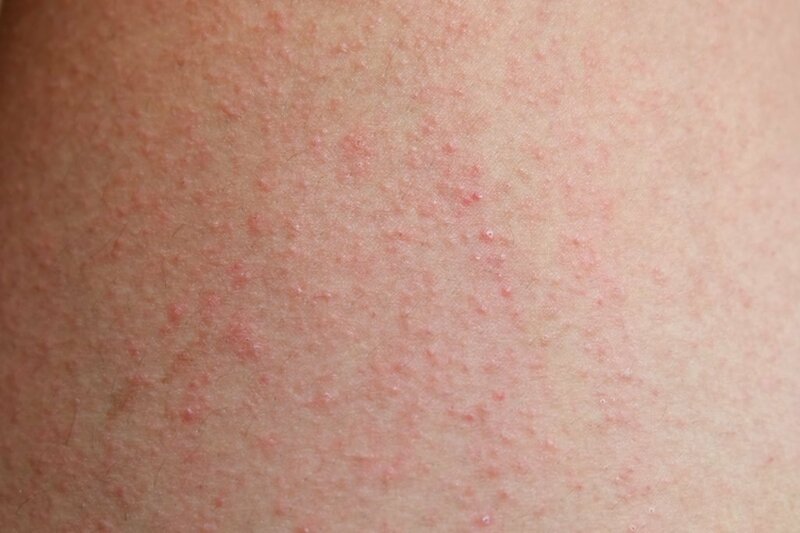 The spot on your body where the rash intends to make its presence felt will get prickly and itchy. Soon enough, you will have red welts or hives as the itching will continue to grow in intensity. Finally, you will see 2 or more solid bumps. In time, these may grow in size, or your skin may develop a leathery and thick feel. More bumps may appear in the same area or on other parts of the body. The cluster of rash may not have a well-defined border, or the bumps may crop up in a circular pattern. Depending on the cause, the rash can get infected and pus filled. The blister-like rash will burst and may even ooze. Once again, based on the cause, the oozing can create a yellow crust that has pus trapped underneath. As the fury of the dreaded rash ebbs away, your skin will get dry and flaky. You may even have superficial scars or hyperpigmentation depending on the intensity of the infection and inflammation. What Can Cause Your Skin To Get All Brash On You And Break Into A Rash? An allergy: Cosmetic products, environmental pollutants, chemicals in household products, soaps, shampoos, perfumes, hand sanitizers, latex products and even food items can lead to an allergic reaction that manifests itself in the form of a rash. Exposure to toxins: Not just industrial toxins but also those produced in nature are just as likely to cause an episode of rash. The common culprits, in this case, are plants such as poison ivy, poison oak, poison sumac and others. An infection: Critters of all kinds can cause skin rash. Bacterial, viral and fungal infections to tiny mites (scabies) and even insects can irritate your skin enough for it to go into hyper mode. Dermal disorders: Skin rash is also a common symptom of certain dermal conditions such as rosacea, eczema and psoriasis. Irritation: Any kind of irritation will cause your skin to display this angry reaction, be it prolonged exposure to moisture like is the case with diaper rash or friction due to rubbing. Heat exposure: The salt in your sweat along with the heat and the friction created by cloth on skin all lead to the appearance of tiny, fluid filled bumps. Auto-immune and other disorders: Lupus, vasculitis, scleroderma and dermatomyositis are all auto-immune disorders that can lead to rash. Should You See A Doctor For Your Skin Rash? General fatigue and feeling of being unwell. Unexplained muscle and joint pain. Pain or difficulty when sitting and rising from a seated position. Throat itchiness and /or tightness. Swelling in the hands, legs and face. Increase in pain and discoloration of the affected area. Intense neck and head pain. Read streaks around the affected area. Even if you don’t have any of these symptoms but if the rash has appeared after an animal bite, a tick bite or if you have a family history of asthma, anaphylactic allergic reactions or food allergies, you need to get medical help. If the rash is a response to an infection: If the underlying condition is caused by bacteria or fungi, antibiotics and antifungal drugs will be used to tackle the infection. This is usually enough to bring down the intensity of the skin rash. In case of a viral infection, your doctor will typically let your immune system battle the invader. However, in rare cases, antiviral drugs may be used to deal with the infection. Again, as long as the infection is brought under control, you won’t have too much trouble with the rash it has caused. If the rash is attributed to an allergy: An allergic reaction and the rash linked to it can be a simple case of contact or atopic dermatitis, which can be handled with topical corticosteroid ointments, or it can be a life threatening anaphylactic reaction. In case of the latter, epinephrine is typically the first drug to be administered, as it opens up constricted airways and prevents the blood pressure from going dangerously low. Subsequently, doctors use antihistamines and corticosteroids, usually in injectable form, to control the hyper immune response that causes the rash. Finally, topical and oral antihistamines and corticosteroids are used to deal with the inflammation, swelling and the itching caused by the immune reaction. 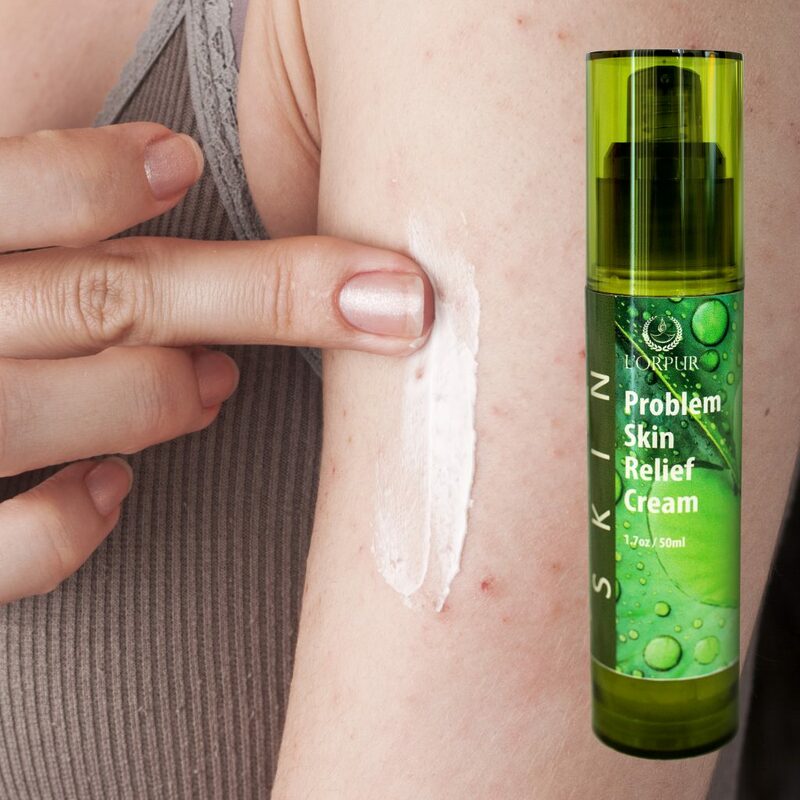 If the rash is brought on by heat or irritation: OTC creams that contain zinc oxide along with antiseptic and anti-inflammatory ingredients are enough to handle this type of rash. Keeping the affected parts clean, dry (diaper rash and heat rash) and lubricated (all types of rash) is all that is needed to heal this affliction. 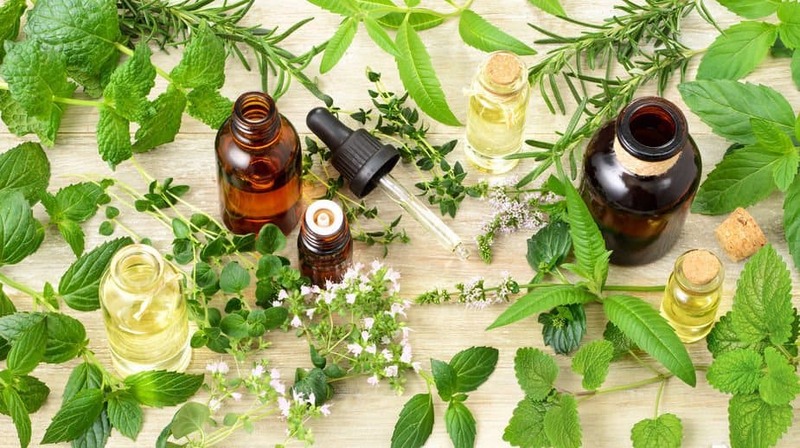 If the rash is caused by exposure to poisonous plants: If any part of the hand/arm/leg has been exposed to the plant, flush the skin with warm water to get rid of the plant oils that have caused the reaction. Then, wash the affected part with soap and water to completely free your skin of the irritant. The toxic compounds that cause the itching and the allergic reaction tend to remain on the surface of the skin for a while after exposure. So, if you go for the soap wash before flushing the exposed part, you will just be rubbing the allergen across a wider area. Depending on the severity of the allergic reaction, you may also need to use a prescription, topical corticosteroid ointment. If the rash is extensive or on the delicate parts of the body (face, etc), you will need oral steroids to control the itching and the inflammation. If the rash is a symptom of an autoimmune disorder: The only way to control this type of dermatitis is to curb the immune hyper response. This is usually done by using immunosuppressant drugs along with corticosteroids that handle things on the surface. 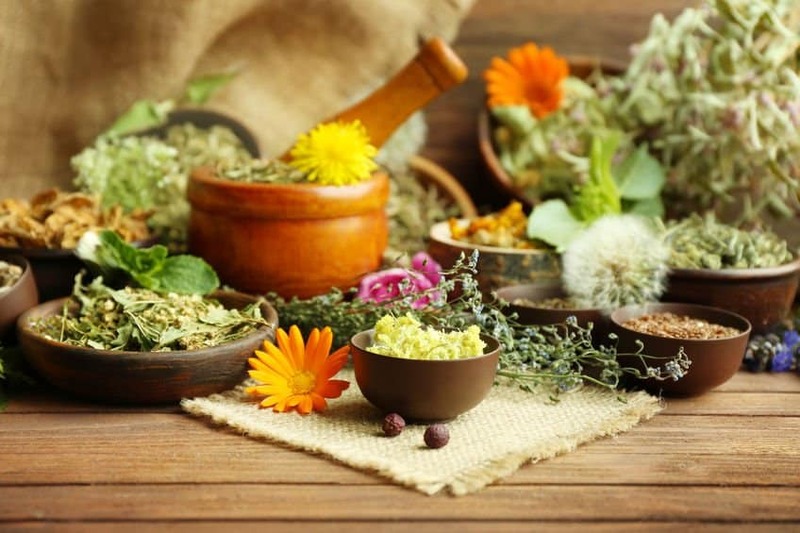 Read on as I get into the world of essential oils, recipes and home remedies. If you want relief naturally from all types of rashes, you can always grab yourself a bottle of L’orpur Problem Skin Relief Cream. Why Should You Consider Essential Oils For Skin Rash? Whether the rash is caused by an allergy, an infection or an autoimmune disorder, the common factor is inflammation. Because nothing tames inflammation better than essential oils, there is your first reason to use these volatile extracts to deal with dermatitis. Furthermore, the cooling and warming properties of these oils give you the upper hand in dealing with the redness, itching and pricking that always accompany skin rash. However, the biggest benefit of using volatile oils to treat skin rashes is that they prevent things from getting serious. Most EOs have phenomenal abilities to kill infections, and I am not exaggerating even a bit here. In fact, some of these extracts have anti-microbial properties that are out of reach even for modern day antibiotics. Moreover, these oils boast of soothing and healing properties, and your skin is going to need these after its tryst with rash. So, when you use essential oils, you won’t have to worry much about the visible after-effects of dermatitis. I’d say, those are quite a few reasons to consider EOs for both prevention and treatment of skin rash, wouldn’t you? With that, let’s get talking about which oils to use and how to use them. Peppermint: I would say that this one is pretty much the king among EOs meant for rashes. Even if you were to discount its superlative anti-inflammatory abilities, the icy cold reprieve it offers from the maddening itch would still put it in my list of the best products for dermal troubles. The fact that peppermint EO also has antiseptic properties to boot simply adds to its effectiveness. Myrrh: This one is another veritable classic that has been used for centuries to treat all types of dermal and inflammatory problems. Whether your rash is attributed to eczema, an infection or psoriasis, this oil will help to restore hydration and elasticity and bring about faster healing. 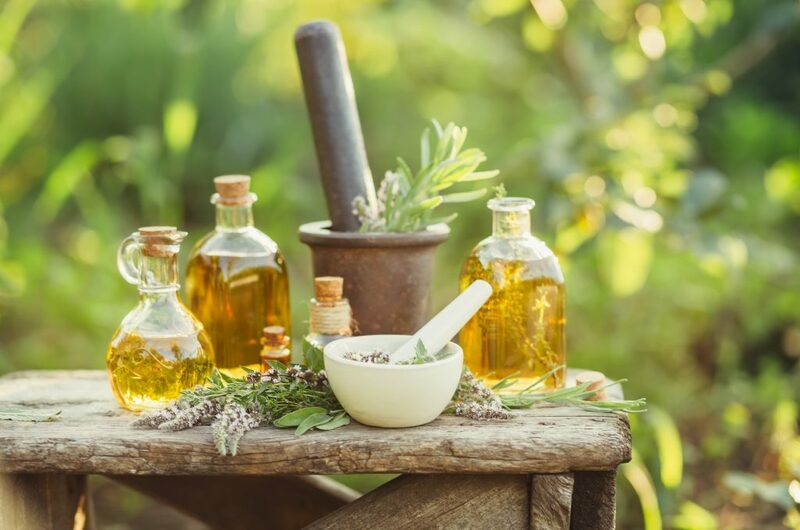 Patchouli: The earthy smelling oil works extraordinarily well on rashes, hives and other skin troubles brought on by bug and insect bites. Patchouli EO is just as effective on eczema as well as rash caused by fungal infections. The astringent properties of this oil give it the ability to stop skin infections and to treat the itching and prickly feel associated with skin rash. Rosemary: The antimicrobial properties of this oil are literally the stuff of legends. I kid you not folks; this oil can even kill those germs that do not heed to any available antibiotics. So, whether your rash is a result of herpes or heat, rosemary EO will kick it right out of your body. Plus, the volatile extract is extremely effective against itching, inflammation and flaking. Tea Tree: Because it is generally used in acne control, this oil may seem like overkill when you are dealing with puny rashes. The fact is that this tea tree EO is one of the most potent anti-inflammatory and skin protective agents in nature. And as such, you can use it not only as a cure but also as prevention. 6. Geranium: Another potent anti-inflammatory agent, this floral extract also boosts cellular regeneration and encourages the growth of healthy cells. So, this is the oil to use when you are concerned about the lasting and visible dermal damage caused by rash. Lavender: Yes, I am back to talking about one of my favorite EOs, lavender essential oil it is. But, how can I help myself when there is practically nothing that this oil can’t accomplish, short of conjuring up a Ferrari. Jokes aside, the fact is that rash is primarily caused by irritation of some kind and it brings along ample of inflammation. With lavender EO, you can address both these issues. Palmarosa: Who’d think this humble EO that is extracted from a grass like plant and was dismissed for centuries as a rose EO knock off would have such extraordinary healing properties. Inflammation, irritation and itching, this oil can handle them all while protecting the skin from dryness and limiting the risk of scars. Now, that is what I call covering all bases! 9. Sandalwood: Hailed as the skin elixir from the forests of South India, Sandalwood EO offers unparalleled skin soothing. Whether it is eczema, psoriasis or shingles that have caused the rash, this oil can tone down the inflammation and restore the skin to its healthy state. Blue tansy: The last on my list but certainly not the least, blue tansy EO is a moisturizing extract that also boasts of anti-inflammatory and anti-microbial action. The azulene rich oil has the ability to rapidly heal damaged skin and it is a natural antihistamine that makes rash disappear with a few applications. Pour the helichrysum hydrosol and ACV in a bowl and mix lightly to combine the liquids. Add the EOs directly to the spritzer bottle and top it with the liquid mixture. To use, give the bottle a vigorous shake and spray directly on the affected area. You can use this blend on any part of the body, including the face, just don’t let it get into your eyes. If using it to disinfect the area, dab away the moisture with some clean tissue paper, the first time you spray it on the skin and then reapply to tackle the itching, inflammation and infection. If you cannot find calendula infused oil, use a mixture of shea butter and sweet almond or fractionated coconut oil along with 10 drops of calendula EO. Preparation is easy once you melt the shea butter using a double boiler or a Pyrex beaker placed in a pan that contains water, which in turn should be placed on direct heat. To make things easy, mix the carrier oil and shea butter in the boiler/pyrex before exposing the container to heat. As soon as the butter melts, mix the lipids together. You will need to stir vigorously with a fork for at least 5 minutes to blend these lipids of varying viscosities. A simpler approach is to remove into a larger glass bowl and whisk with a mechanical or hand held blender. Once you have a uniform base, add the EOs to the carrier blend and mix again. Pour into a glass jar, preferably one made of dark glass and place in the refrigerator for about an hour. When you take the mixture out, you will have a creamy ointment that works on all types of rashes. To use, apply as you would any anti-rash / antiseptic cream or ointment. Cover all the affected areas of your body with a thin film of this blend and use 2-3 times a day for best results. 3. Herb and EO poultice that will keep rash away from your life! Bruise the greens by putting them through a round of mashing in the mortar and pestle. Add the ginger paste to the herbs and mix well. Remove into a plate/bowl and sprinkle salt on the herb mixture. Heat in the microwave for about a minute. The mixture should be hot to touch but not burning hot. Add the EOs to the herbs and mix well with your fingers. To use, apply a small amount directly on the rash and rub the greens on your skin, using circular strokes for about a minute. This will take care of the itching, the flaking, the dead cells, and the critters they may be harboring. Take some more of the warm mixture and coat the affected parts with it. You will need some gauze to hold the poultice in place. Keep it on your skin for about 30 minutes and then wash with warm water. This treatment works on all types of rashes and is incredibly effective on the itching and inflammation. 4. Calming soak for when rash turns your body into a battleground! Mix the oils with the baking soda in a glass bowl or a non-reactive container. To use, run a warm bath and add the mixture to the water. Agitate to disperse and then soak yourself in the skin healing goodness of this bath. A 15-20 minute soak once a day should be enough to make your rash go away or at least subside visibly within 2-3 days. Melt the shea/kokum butter in a double boiler and take it off the heat. Blend in all the EOs and whisk till the butter gets hazy and begins to solidify. Pour into a glass jar at this point and let it cool completely. You won’t have to refrigerate this blend because the carrier is a plant butter instead of an oil or an oil-butter blend. Give it about 30 minutes, and you will have a balm like mixture on your hands. To use, apply a small amount as soon as you feel an allergic reaction (read itching, hives) coming on. Call this a preventative move if you will, but the cooling and soothing effects of this blend will stop your immune system from going hyper on you. In other words, you will stop the rash before it makes its appearance. This blend works exceptionally well when you know that a cosmetic procedure or product poses the risk of making you break into a rash. For instance, I always use this after tweezing my eyebrows and upper lip because I know that all that plucking causes by skin to get all itchy and full of hives, and in a few hours I end up with rash. You can also use this recipe for ingrown hairs. Too busy or don’t want to buy a myriad of ingredients to make up the above recipes – don’t despair! L’orpur Problem Skin Relief Cream will offer you relief naturally from all types of skin rashes. If you have frequent bouts of rash or suffer from several allergies, keeping your eating habits clean and healthy will prove to be an effective strategy to prevent this dermal condition. Organic foods items, fruits and veggies that are rich in beta carotene (yellow, red and orange in color), lean protein, whole grains, and flax and chia seeds will keep your immune system working in the right way. Similarly, avoiding known allergens will lower the risk of allergic rashes. So, stay away from gluten, nuts, dairy and shellfish. Also, give up inflammatory food items like sugar laden foods and beverages, hydrogenated oils, and fried and processed products. Vitamin C and nettle leaf both offer antihistaminic effects and help in controlling inflammation from the inside out. Quercetin is another supplement that offers protection from oxidative stress as well as allergies. Green supplements like spirulina, chlorella and green superfood drink help to alkalize the body, which in turn tones down inflammation. The hydrating plant gel boasts of incredible healing and soothing properties. Add a drop of lavender or tea tree EO to a tablespoon of the gel and store in the refrigerator for use when skin rash strikes. The coolness will stop the itching while the anti-inflammatory and hydrating properties of the gel will curb the redness and swelling. The anti-inflammatory and skin healing properties are just as good as its ability to nourish the body. Add a cup of oatmeal ground to a fine powder to a warm bath and soak yourself in it for 30 minutes. For twice the anti-inflammatory benefits, also add 10 drops each of German chamomile and lavender EOs. For localized rash, you can make a poultice, using oatmeal soaked in almond milk and the EOs mentioned above. One way to get rid of rash, particularly, rash that is caused by prolonged exposure to moisture and heat, is to dry it. You can use a pack made by mixing bentonite clay and rose/helichrysum hydrosol or corn starch and strong black/green/chamomile tea or poppy seed paste with lemon juice or baking soda and yoghurt. Apply the paste in a thick layer and allow it to dry on your skin, then wash it off with warm water. And with that, I have come to the end of this article and you know everything about preventing, treating and even curing skin rashes of all types. Armed with all that information, you will never again have to wait for the pesky skin condition to run its course. In fact, you can now treat it aggressively, so it does not cause too much trouble. But I’d still suggest that you watch for other symptoms, which may point to an underlying medical issue that needs prompt attention. Remember, any kind of flare up, be it pain, inflammation or rash is simply your body calling out for help. And, this is one call that you should not ignore. That said, here is wishing you all rash and itch free living for years to come. 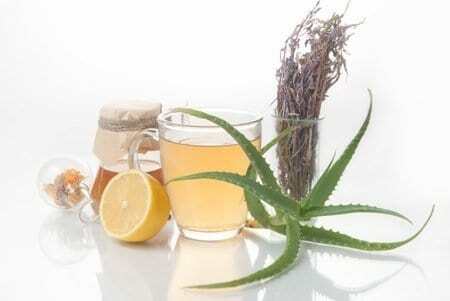 Thank you for sharing your information on natural remedies on skin rashes.